Straight out of the Black Metal woods of Norway. 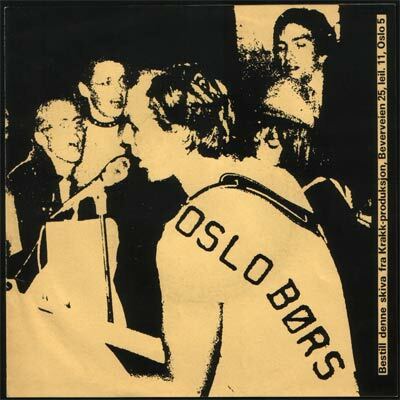 Oslo Bors superb first and only(?) three track smasher. If you know how happy and silly norweigans sound when they talk it’s hard to imagen that they could sound pissed off while singing. But they do! Funny how the scandinavian bands tend to sound very much alike. 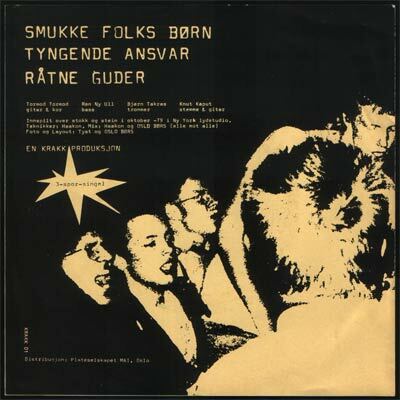 This could just as well been a swedish punk record out of Gothenburg. I’m the first to comment here. Wow way cool dude! 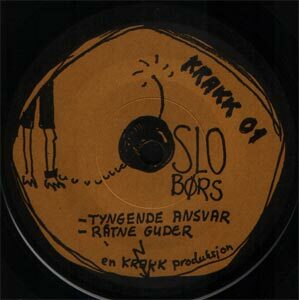 They had a second 7″ aswell under the name Oslo Beurs, called Telefonskræk (1980. )Though the record is not as raw as the first 7″. I guess the second is more new wave with zynts – frankly not one of my favorities. The first is a killer. Save yourself the bigoted remarks on how norwegian sounds. As an American of Norwegian/Swedish descent (choosing to descend into the utopia that is alcoholism), I have always wondered if Norway had it’s own language or if it’s just Swedish spoken badly. At any rate the singer does indeed sounds like Varg Vikernes. Punk! Thanks! Norweigan is a very funny language as it sounds like an incredibly jolly version of Swedish. IMHO it sounds like they are making funny jokes when they are yelling at each other.